2 What weight should I choose? 4 Why do these Yes4All Adjustable Dumbbells get such great reviews? 5 What exercises can I do with adjustable dumbbells? 6 Will adjustable dumbbells help me get a six-pack? 7 What do others say about the Yes4All Dumbells? 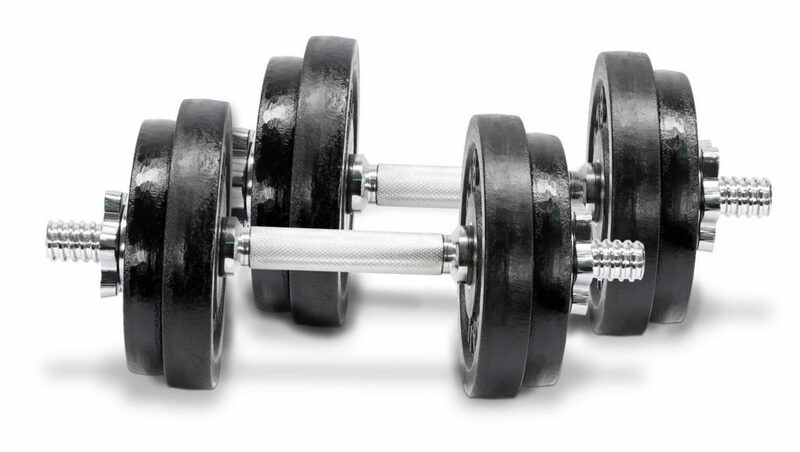 All these people can’t be wrong – with over 800 reviews, these are one of the BEST SELLING sets of dumbbells on Amazon. The Yes4All Adjustable Dumbbell set gets a 4.4/5 rating on Amazon and are regarded are one of the BEST ADJUSTABLE DUMBBELL sets on the market. Choosing the optimal dumbbell weight can be confusing. This table helps you make an accurate choice based on your gender, body size and weight training goals! Why do these Yes4All Adjustable Dumbbells get such great reviews? First of all, these adjustable dumbbells by Yes4All come in a variety of different weight packages, unlike some other dumbbells sets. What exercises can I do with adjustable dumbbells? You can do a variety of exercises, working the entire body, with a set of adjustable dumbbells. 2 -3 workouts a week consisting of 10-12 exercises is sufficient to help you increase your muscle mass/tone, improve your strength and boost your metabolic rate (burning more calories!). We would recommend that you complete a variety of exercises for a balanced, whole-body workout. The number of repetitions that you choose will depend on your goals. Weight training techniques can be tricky to learn and doing weight training without instruction or tuition, increases your risk of injury. We would always recommend you seek advice from a qualified instructor before commencing a weight training program. Will adjustable dumbbells help me get a six-pack? You can use the Yes4All adjustable dumbbells to improve the strength and tone of your abdominal muscles. To see these muscles however, you need to burn away the fat that covers them! This can only be done by achieving an energy deficit – e.g. burning more calories that you consume. In other words, the dumbbells will definitely help you to get a six-pack, but to see this six-pack visibly you will probably also need to make some changes to your diet! What do others say about the Yes4All Dumbells? Some users have reported a slight smell of paint coming from the dumbbell set but this is regarded as a minor inconvenience. There have been some reports of some small flecks of paint chipping off the dumbbells but again this does not appear to affect use. Our full Bodyblade Review: Does it work? Will you see results?